Brilliant fall colors are on their way, adding to the allure of Ozark National Scenic Riverways and enriching views of the bluffs, hollers, springs, and rivers of the Ozark plateau. Here you can find year-round adventure: some come to canoe, fish, hike, or camp; others to explore historic structures and reflect on the Scotch-Irish settlers who left Appalachia to start anew in southeastern Missouri. Begin your journey at the visitor orientation center, open daily in Van Buren. You'll find park and area information, a bookstore, and an exhibit on the late-1800s Ozark lumbering era — when several mills in the region provided the timber needed to feed an expanding United States in its westward movement. The exhibit, focusing on the height of timbering, chronicles the hard work of bringing in logs and tie-hacking to create railroad ties. Kids can learn if they have what it takes to be a tie hacker by completing an activity sheet to earn an “I work the Ozark Timber. I am a tie hacker” sticker. 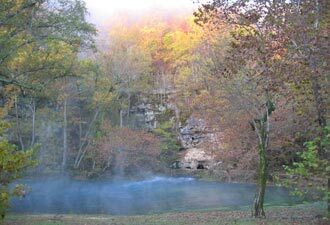 Enjoying the Ozark outdoors is a local tradition that first-time visitors can embrace. Camping under sycamore trees, floating along the winding Jacks Fork and Current rivers, and hiking the Ozark Trail are activities enjoyed by newcomers and old-timers alike. If you time it right, you can visit the Alley grist mill or take part in one of the park's many special events, such as the long-held “Haunting in the Hills” free, annual festival. You'll find ample opportunity to connect to nature and enjoy the fellowship of friends and family — perhaps by the glow of a crackling campfire, along a trail, or while dipping your toes in a cold, crystal clear river. 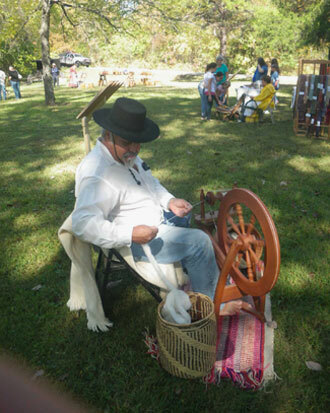 This year's Haunting in the Hills weekend, Oct. 8-9, 2011, features regional musicians, storytelling, and skilled artisans who will demonstrate a variety of pioneer crafts, including making household supplies like soap, candles, rope, brooms, and apple butter. Basket weavers, lace makers, spinners, wood carvers, and metal-smiths will all be on hand to share their trades. 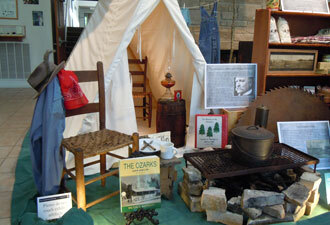 Stop in at Alley Spring to see the bygone life of the Ozark people become a modern day reality. While you're at the festival, learn even more about Ozark history by stopping at the Fur Trapping Rendezvous and Civil War Encampment. The Ozark National Scenic Riverways will not disappoint leaf-peepers. Nowhere else rivals the fall colors of the area. Observe the canopy colors at Big Spring, Rocky Falls, Alley Spring, Round Spring, Blue Spring, and Devils Well. Come to recreate, reconnect, revitalize, and experience your heritage.